This happens every time i start it up, eventually after enough retries it'll do this for a few seconds then launch the game. I'm pretty sure I installed the game proper as I've played the mod plenty, can anyone help me? So it would seem when i talk to cain it crashes. huguard isn't running so it won't connect. as for the other error..
install HU outside "Program Files"
I have same issue althou i can play the game. I have installed the mod and a copied folder of the original game right at "c:\"
Outside program files, any other idea to solve it? I can't create games, I can join created ones thou. 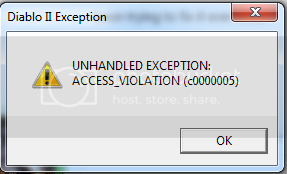 Might this error have something to do when creating games? On your desktop shortcut do you -direct -txt on ur target lines? Also make sure its in windows xp compatibility. im running windows xp so no compatibility needed i guess. What u mean by "-direct -txt" should i add this to the target line like if it was "-w"? Each -* (whether it be -direct -txt -w or something else for that matter) is its own independent command line argument that tells the program to do something. You can have as many -* as you want. well I added that -direct -text to the target line but still wont connect. There's a registry file that comes with the install. 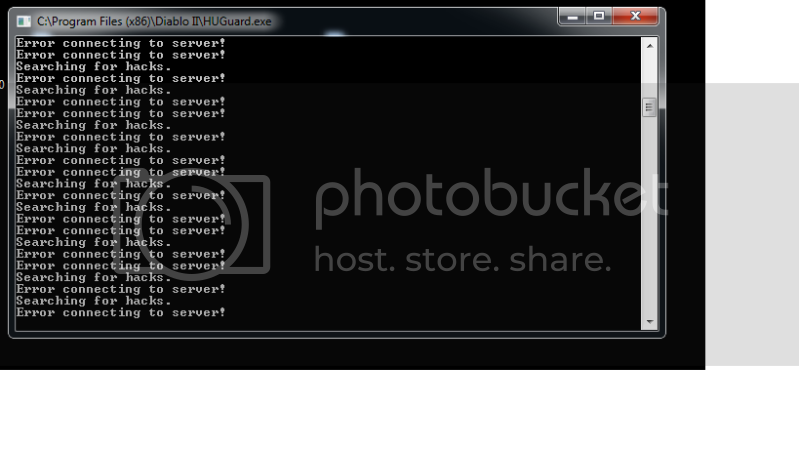 Try running that to add HU's server to the server list. i did to get the server to play on, and i can play. just hu guard wont connect. HU Guard has been disabled since it causes memory leaks and lags the servers. That and people were getting around it anyways. Just ignore/close the HU Guard since its no longer important to connecting.